Helen Twomey (née Greenhalgh) began her violin studies at the age of seven and within six months of starting had already progressed into orchestras in the Bristol area. Since graduating from Trinity College of Music in 1999, Helen has had a varied career playing in a variety of musical genres as a performer from orchestral, chamber music, rock, pop and nu folk. She plays regularly with the DeHavilland Philharmonic and Chameleon Arts Orchestra around the UK and has also worked with Milton Keynes City Orchestra, Kentish Opera and the London Soloists Chamber Orchestra. Helen has worked with singer songwriters and her playing has appeared on popular television shows such as BBC’s Waterloo Road and Channel 4’s Hollyoaks. Live radio shows include BBC Radio Kent, TalkSport 1089AM and Resonance FM. She has toured the UK, Denmark, Sweden, USA and the Netherlands. She has given recitals in Bromley, Kent. Degrees and certificates Helen holds are a Bachelor of Music BMus (TCM) from Trinity College of Music (studying with Gillian Findlay and Richard Crabtree), a PGCE (Post-Graduate Certificate of Education) in Music from the University of London’s Institute of Education, Qualified teacher Status (QTS). Performance Diplomas include a Licentiate of Trinity College London (LTCL) in Music Performance and a DipABRSM and in 2014, Helen was admittted as a Fellow to the Royal Society of Arts (FRSA). 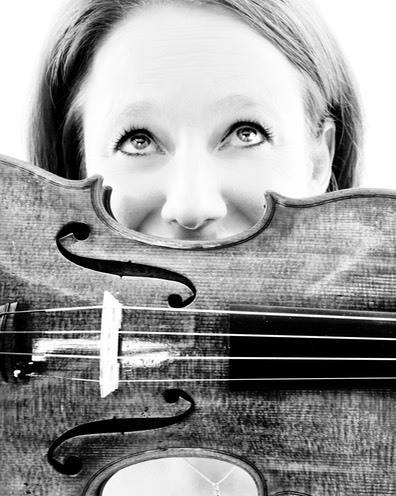 She is a ESA Level 4 qualified Suzuki violin teacher with the British Suzuki Institute and works as part of the Kentish Suzuki Group. Helen plays on a Frédéric Chaudiere violin made in 2011. Daniel began playing the cello at the age of five and studied at the prestigious Guildhall School of Music and Drama until the age of eleven. Having continued through school with notable performances as part of the country’s leading youth orchestra, Daniel gained a BA in music at Leeds University, studying with Anna Shuttleworth and Sue Lowe. He then completed a MMus performance degree at Trinity College of Music, London where he studied with Joley Koos. Having established himself on stage and in the West End pit, Daniel travelled to Texas where he completed an Artist Certificate at the Southern Methodist University in Dallas. He was a major scholarship holder and studied with Andres Diaz, former winner of the Naumberg ‘Cello Competition and world renowned soloist. His studies in Dallas placed him in an ideal position to experience new styles of music, as well as developing his passion for chamber music. In addition to his orchestral playing, Daniel was also a member of the Dallas Camerata Piano Trio alongside Hubert Pralitz (violin) and Desta Hailu (piano), with whom he performed works such as Shostakovich’s piano trio no. 2 and Mendelssohn’s 1st piano trio. 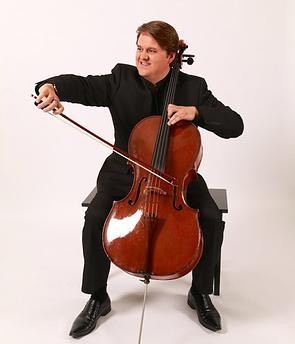 His work under significant American musicians Dr Paul Phillips, Anshel Bruslow and Christopher Adkins instantly placed him amongst the front-running cellists of his age. Returning to the UK in 2011, Daniel took over Two Cellos, continuing the work of friend and colleague Andrew Adams, and has been performing music all over the United Kingdom under this banner. Dan plays on a fine cello made by Lockey Hill of London c. 1780. London-based pianist Eleanor Tagart began learning the piano in the Cook Islands with Garth Young. She has since studied with Richard Mapp, Bruce Greenfield, Tim Emerson, Diedre Irons and Hugh McMillan. After studying at universities in both Aukland and Wellington, New Zealand, Eleanor graduated with a BMus (performance) in 2002. Since then she has been active as a soloist, accompanist, repetiteur, and teacher. She has continued to develop her specialist knowledge to gain a DipABRSM in 2007. She has accompanied for music competitions, theatre productions, choirs and young people sitting music exams. 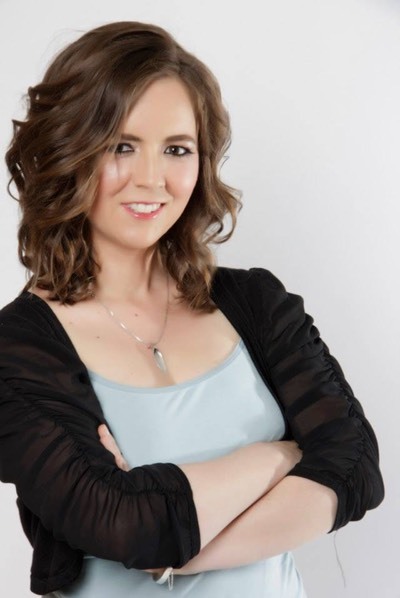 Eleanor has played for the New Zealand Opera, the Bay of Island Arts Festival, the Northland Sinfonia, Porirua Little Theatre, the Wellington Gilbert and Sullivan Society and for functions and ceremonies at New Zealand Government house in and around Wellington. Since 2009, Eleanor has been based in London, performing as a soloist around the country and teaching the Suzuki Piano Method in Bromley. She is the co-founder of Crescendo! Music school: A system for preparing very young children in a fun group environment for instrumental study.